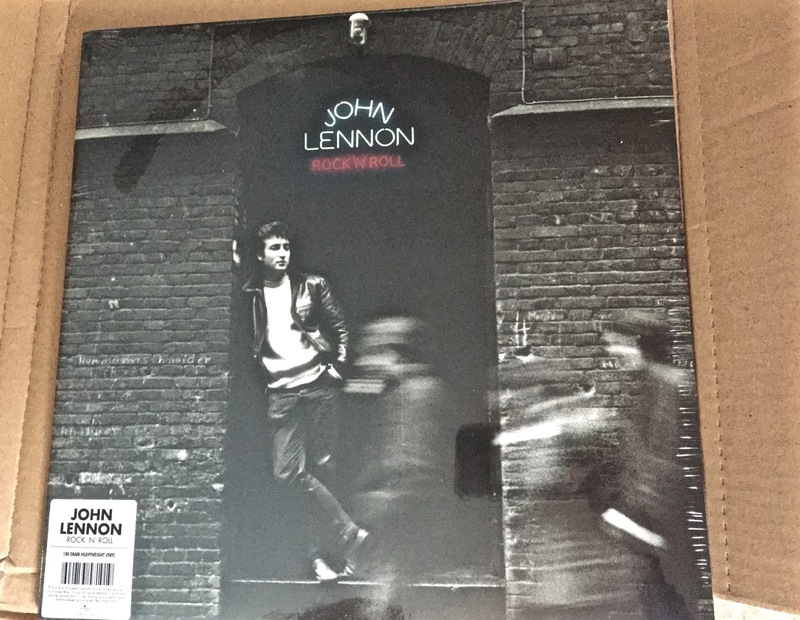 Could this finally be the replacement John Lennon Rock’n’Roll album from the John Lennon 8-LP box set? The postmarks were from Great Britain, and the sender address was Universal Music in London. As you know, Universal are now the manufacturers and distributors of all Beatle releases, including the back-catalogues of John Lennon and George Harrison. 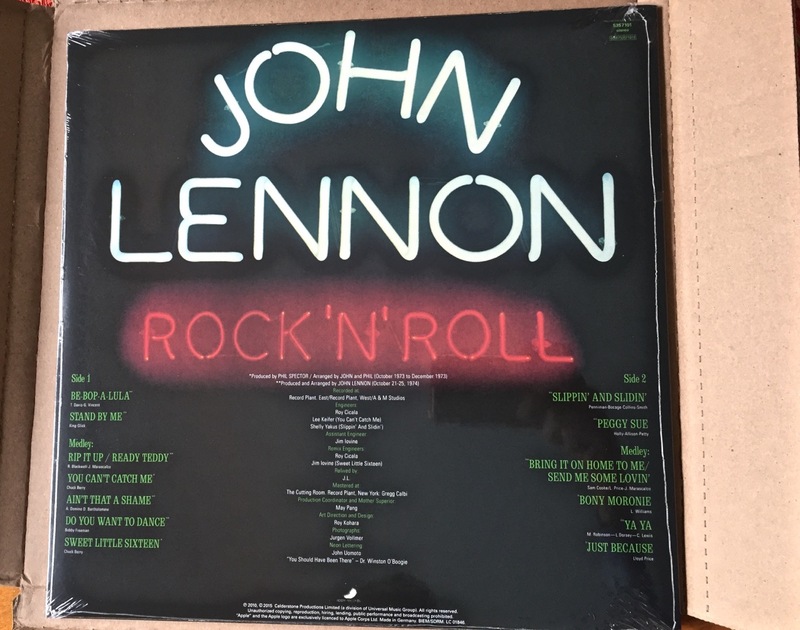 They had a big problem with the Rock’n’Roll album shipped with the Lennon box. The set was temporarily withdrawn from sale while they sorted out a production error where the song “Sweet Little Sixteen” appeared twice, and the song “You Can’t Catch Me” was missing altogether. The company set up a special website. Providing you had proof of purchase you could request a replacement copy of the faulty album. We did this at the start of August, but had nothing but stoney silence from Universal since, despite a couple of follow-up emails to them seeking an update on progress. 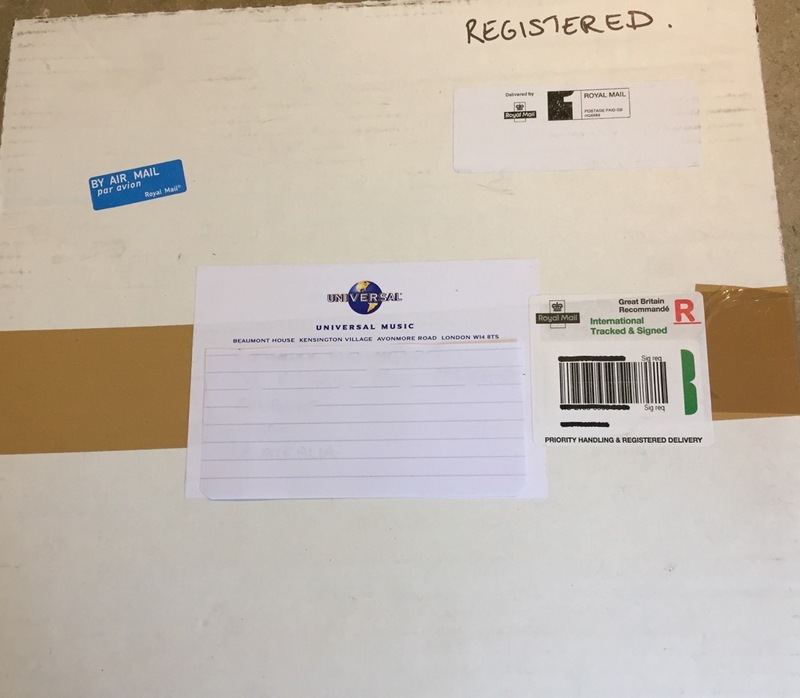 This entry was posted in Beatles, Beatles Collecting, Beatles Music, George Harrison, John Lennon and tagged Beatles, Beatles Collecting, George Harrison, John Lennon, Lennon Box Set, Music, Universal Music by beatlesblogger. Bookmark the permalink. So you didn’t have to send the faulty disc to exchange for the correct pressing? Or you kept both copies? Still cool to receive the replaced discs! No – still have the original faulty disc. There was no request to send it back. I guess it’ll become collectable?